Today, on Armistice Day 2013, the comrades at Philosophy Football launch a Special Edition T-shirt for next year’s 1914 Centenary. Designed by renowned illustrator and Philosophy Football collaborator Dan Murrell, a hauntingly simple yet incredibly powerful image to commemorate the sacrifice, appalling waste and destruction of the ‘Great War’. 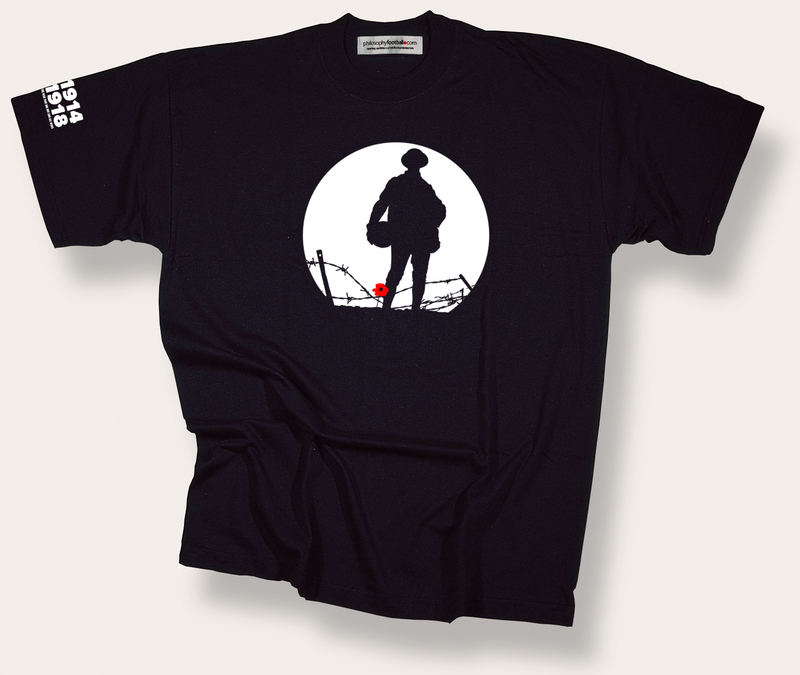 A silhouette of an unknown soldier, with a football instead of a rifle in hand, a single red poppy to remind us of the terrible physical and psychological damage that the ‘War to End All Wars’ resulted in. The soldier might be a Clydeside shipbuilder, a Dublin postal worker, a Welsh miner, an Indian farmer, a New Zealander, a Canadian, an American, an Australian, a South African, a Birmingham foundry worker, a Manchester mill hand, a Fleet Street machine minder. The place and date are unspecified. He’d sooner be playing football, away from the horror. And of course famously on Christmas Day 1914 soldiers from both sides did just that, a brief but hugely symbolic episode of rank-and-file resistance to the juggernaut of war which left 22 million dead. He’d rather be playing football but all his mates who would play in his team would soon be be dead at Loos, or Vimy Ridge. or the Somme, or Passchendaele. He is the Unknown Soldier, shown through a unique Philosophy Football prism. And it is more than just a shirt. As Philosophy Football’s unique contribution to the centenary it will help fund a major event they have planned for Saturday 20 December 2014, to mark the 1914 Christmas Football Truce with a peace football tournament, music, poetry, ideas and art . An event in support of the No Glory in War 1914-18 campaign, which the shirt will be promoting too. With respect and imagination Philosophy Football mark in a modern way via a T-shirt the memory of World War One. The aim is to help challenge the hoopla of the fast-approaching centenary that threatens to smother us with a message of what a lovely war it was, and never mind cause, consequence or dubious purpose. This one is for the miners, the steelworkers, the printers, the millions unemployed, the injustices the Hillsborough familes were forced to endure, the Poll Tax protesters, those who lost their lives on HMS Sheffield, and the Belgrano, for what? For the women of Greenham Common and the Trident missiles we didn’t want. For the NHS and the nurses, our schools and teachers, the council houses sold off, the privatisation of our public utilities, railways and buses. For our school milk. For the reputation of St Francis of Assisi. In remembrance of all we lost 1979-90, much of it never returned to us. A life remembered with decent human sympathy. But lifetimes remembered too, scarred by divisions we’ll never forget . Order before Friday12th and Philosophy Football will do their very best to get in time for you to wear on the day of the Funeral. One hundred years ago the Epsom Derby was disrupted by perhaps the most famous protest at a sporting event in history. Britain at the time was bitterly divided. The early Trade Unions and others were striking against poverty wages and appalling working conditions. The cause of Ireland’s Freedom was attracting support on both sides of the Irish Sea. 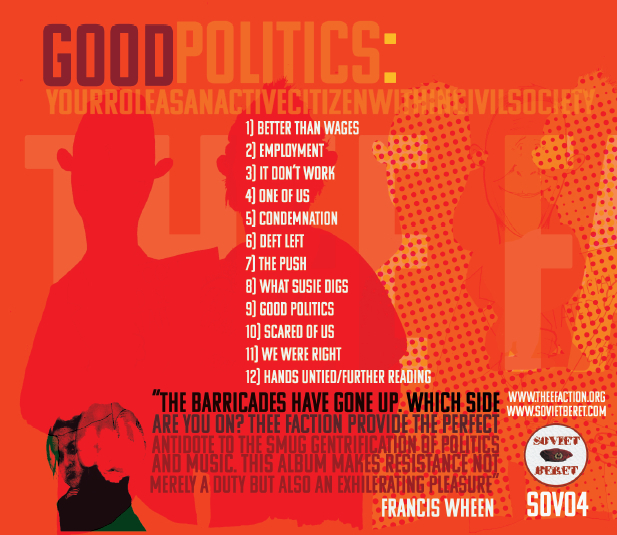 And from the Suffragettes came a massive wave of non-violent direct action. For these Suffragettes the Derby was absolutely a legitimate target for their protest. Horse-racing was the sport of the Establishment. Epsom was a day out to celebrate tradition, one that denied women the vote. The King and Queen would be in attendance to watch the their own horse race for glory. When Emily Wilding Davison ran on to the racecourse a century ago she hoped to stop the race and ensure that women’s voices be heard. When the horse at full speed collided with her, the chances of survival were virtually non-existent. She never regained consciousness and four days later she lost her battle to live. Emily’s heroic, yet fatal, action formed part of a protest movement that involved many thousands more women. From smashing every shop window in London’s West End to blowing up post boxes, via disrupting Parliament’s proceedings and heckling MPs at public meetings, this was a campaign few could ignore. So when they couldn’t ignore them, they imprisoned them, and when the demand by the women that they be treated as political prisoners was also ignored the Suffragettes responded by going on hunger strike. Again their punishment was more repression, brutalised by force-feeding. But these ferociously brave women still refused to abandon their cause. The Suffragettes were not fighting for the vote alone, but for women’s liberation too. Most saw the vote as one step towards getting what they wanted. The Suffragette movement was large and strong, yet at the same time complex and multifaceted, combining those for whom hope lay in constitutional reform with others who believed in the vocabulary of revolution. Whatever their differing objectives, the result of the campaign was the loosening of the ideological hold of men over women. Women gained a real sense of their equality, and began to establish a determination to put it into practice. By their actions and protests , as well as their ideas and arguments, the Suffragettes liberated themselves and all their sisters too. In 1918 the Representation of the People Act finally awarded women the vote, but only for those over 30 years of age. In 1928, fifteen years after Emily gave her life for the cause, women’s parity in the vote was finally recognised when the voting age for women was reduced to 21 years, the same as for men. Philosophy Football have produced a set of commemorative designs featuring the colours purple, green and white. These were hugely symbolic for the Suffragette cause. Purple was for dignity, white for purity and green for hope. Militant, committed to direct action, courageous and in the end victorious too. Deeds not Words and Dare to be Free were the twin ideals, worn as brooches, on sashes, carried as banners, that shaped the Suffragette movement. A century later we can wear them again, as T-shirts. All designs available from Philosophy Football. The shirts are in support of the Emily Wilding Davison Centenary Campaign. 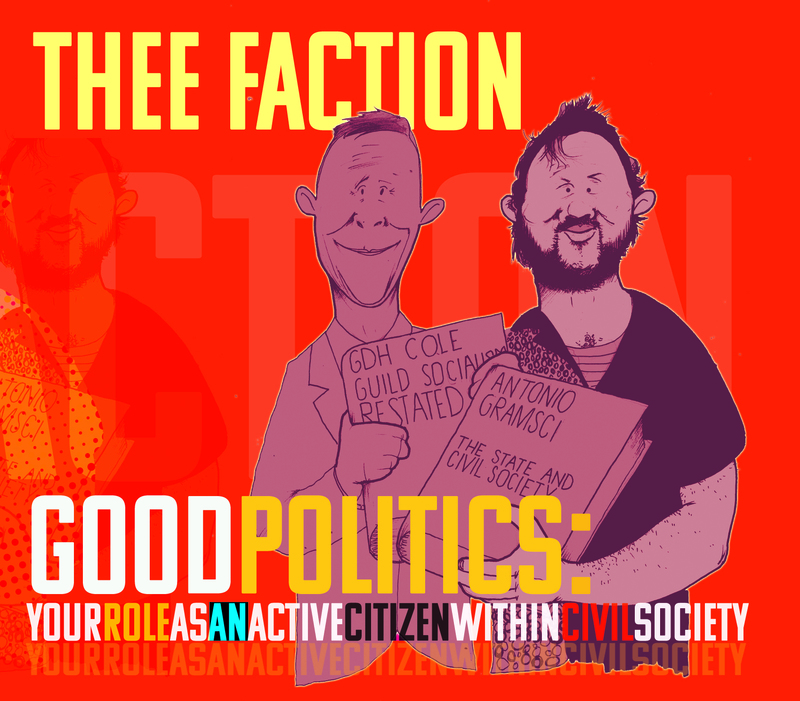 Thee Faction urge you to get hold of these shirts and commemorate the struggle. There is still a long way to go. 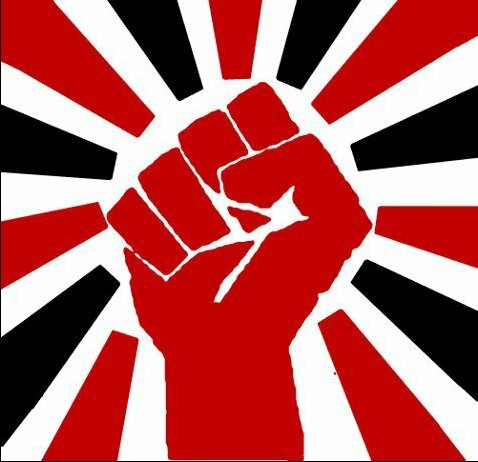 To celebrate International Women’s Day this Friday 8th March, can we suggest you go and see our great friends and comrades Colour Me Wednesday and The Tuts play at the Gunners Pub, N5. Saturday 2 February 2013. The 70th Anniversary of the Red Army’s Victory at Stalingrad. 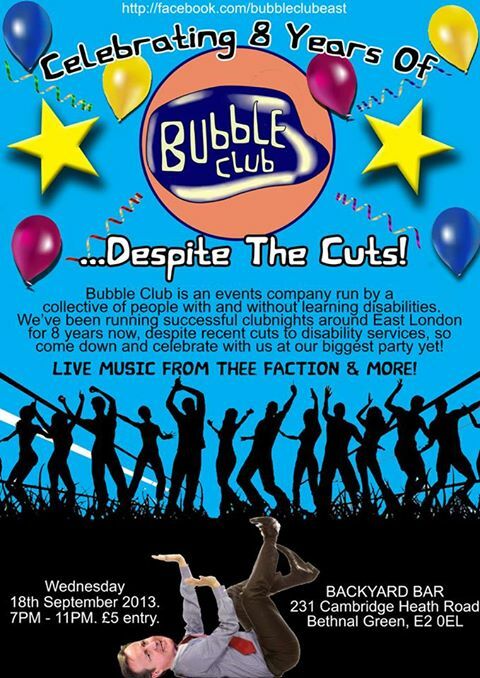 Tickets are selling very very quickly, so book now to avoid missing this fantastic night. “Meet Comrade Feelgood.” Q Magazine. 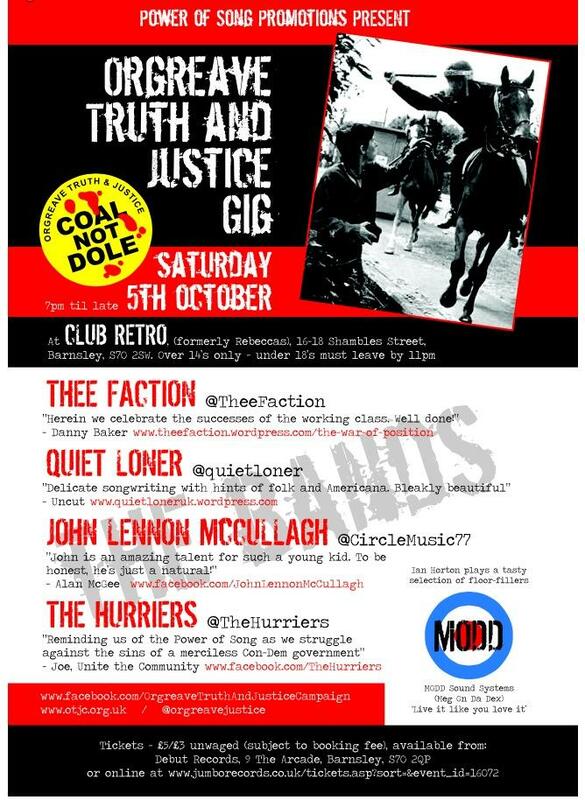 The blistering hot socialist R&B of Thee Faction will be providing anthems to march, and dance to! A night of musical mayhem and purpose. fearsome blend of two clarinets, two saxophones, three trumpets, two tubas, two trombones,guitar,vocals and two percussionists, they never fail to get audiences dancing. Opening the night, Seumas Milne columnist on the Guardian and author of The Revenge of History discusses the meaning of Stalingrad with Geoffrey Roberts acclaimed historian of the Eastern Front and author of Stalin’s General: The Life of Georgy Zhukov who is joined by Susan Richards, editor of the OpenDemocacy Russia website and author of Lost and Found in Russia. Reporting from today’s anti-fascist frontline, Matthew Collins, author of Hate. Mixing music, art, photography and poetry Victory at Stalingrad will be a night of entertaining ideas. 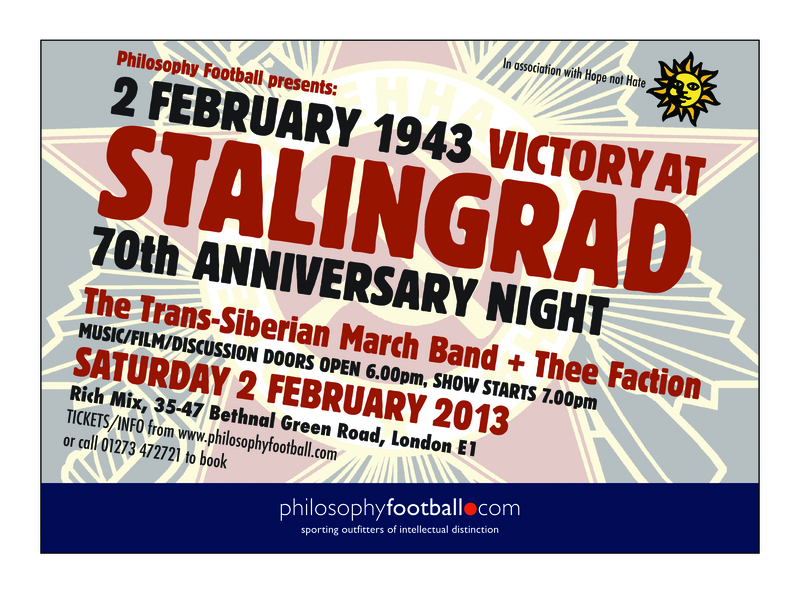 There’s exclusive discounts on Philosophy Football T-shirts and Stalingrad books on the night too! 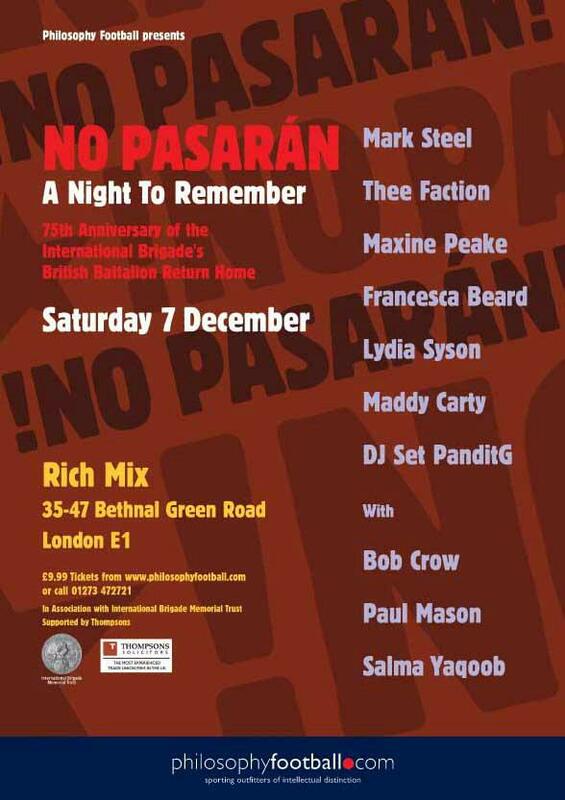 At Rich Mix 35-47 Bethnal Green Road, London E1 (5 mins from Liverpool Street). Doors open 6pm, show starts 7pm. Saturday 2 February 2013 is the 70th Anniversary of the Red Army Victory at Stalingrad, an epic moment that turned the tide against Hitler. 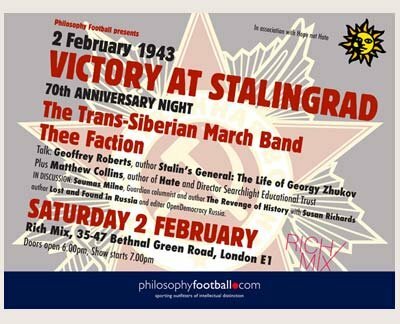 Philosophy Football have organised a brilliantly eclectic event to mark the occasion, featuring Thee Faction. After a set of your favourite Thee Faction blisteringly hot R&B anthems to dance or march to, prepare for the warped fusion of Balkan Ska and Ottoman Punk that is the Trans-Siberian March Band. The Trans-Siberian March band are a 13-piece Balkan Brass band with a fearsome blend of two clarinets, two saxophones, three trumpets, two tubas, two trombones, guitar, vocals and two percussionists, they never fail to get audiences dancing. If you are yet to experience them see more here. Philosophy Football Nights are a curious mix of ideas and entertainment. Injecting the former into the occasion Seumas Milne, Guardian Columnist and author of The Revenge of History discusses the meaning of Stalingrad with acclaimed historian of the Eastern Front Geoffrey Roberts, author of Stalin’s General : The Life of Georgy Zhukov and Susan Richards, editor of the OpenDemocracy Russia website and author of Lost and Found in Russia..
At Rich Mix,35-47 Bethnal Green Road, London E1 6LA. 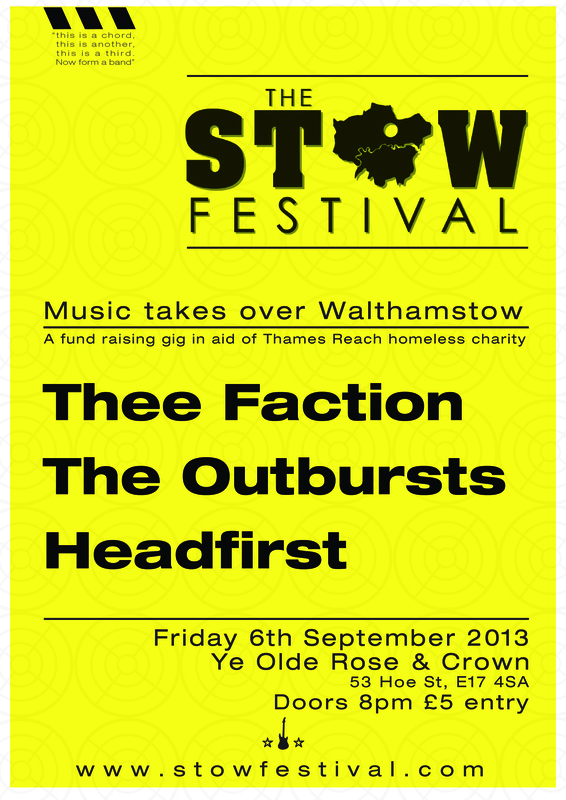 Doors 0pen 6pm, show starts 7pm. Tickets £9.99,from Philosophy Football or call 01273 472 721. Warning, we’ve been advised Philosophy Football nights ALWAYS sell out! September 13th will mark the 70th anniversary of Stalingrad. The Eastern Front of the fight against the Nazis doesn’t get that much attention these days. But it did at the time. Stalingrad was an epic victory in the fight against fascism in general and the Nazis in particular, and started the chain of events leading to the crushing of Hitler in 1945. We must not forget. 13 September, 06.45, 1942 the Nazi onslaught on Stalingrad commenced with a bloody vengeance. The sky turned brown from the dust of fragmented buildings, the ground vibrated because of the power of the explosions. The Fascist army’s advance continued but faced the most ferocious resistance imaginable. The horror of fighting the Soviet troops on their favoured terrain, the approaching Russian winter, fast became a reality for Hitler’s Generals. While German tanks entered the outskirts of Stalingrad the Soviets dug in preparing to fight for every district, every street, every house.